Tempting though it is right now to write a ranty post about technology in general entitled “Why Does Nothing Bloody Work Properly” or maybe “Thank You Firefox For Completely Buggering Up My Day”, I’m going to resist and write about something nicer instead. 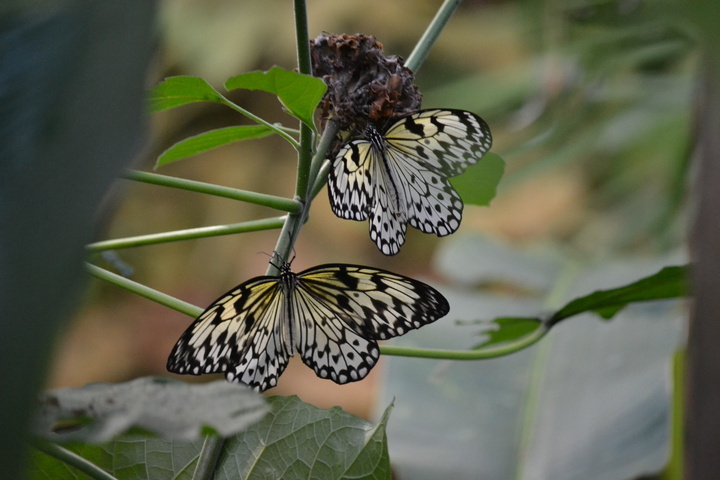 Namely my visit to the Butterfly Farm (now Edinburgh Butterfly and Insect World) at the weekend. I hadn’t been there in probably over 20 years but we were in the area looking for something to do and I had my zoom lens on so it seemed a good idea. But as soon as we stepped in the door, the warmth and the rich smell of vegetation in there brought the memories flooding back. Warning: there is a picture of a large tarantula in this entry. Don’t scroll down if you don’t want to see it! I like butterflies, but they’re very hard to photograph. The one in the banner at the top of this page is the only decent butterfly pic I’ve ever managed to take in the wild. In a confined space and with lots of fruit and nice flowers to tempt them it’s a little bit easier, but I still didn’t manage to get a proper picture of any of the beautiful blue ones with their wings open… they move too fast and don’t seem to like sitting still for any length of time. The highlight was definitely the handling session. Doing the rounds today were a giant millipede, a python and a tarantula. 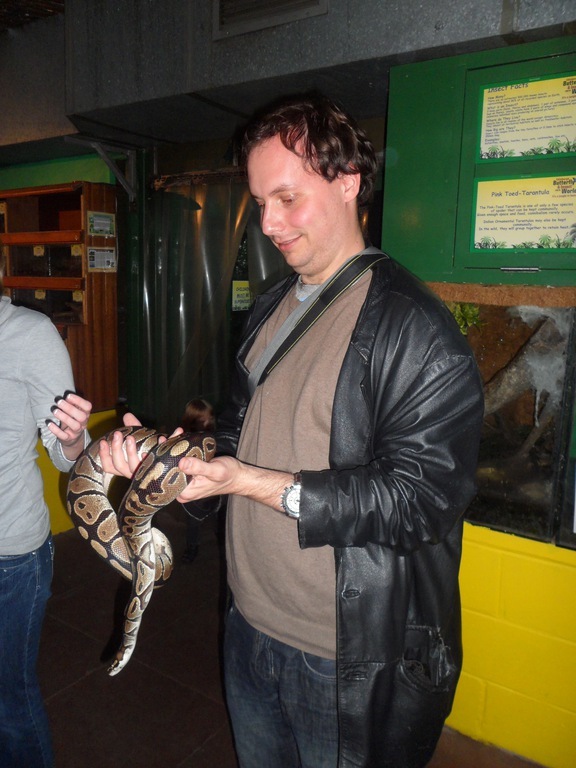 Laura only handled the python but was brave enough to stay around and photograph me with the others. 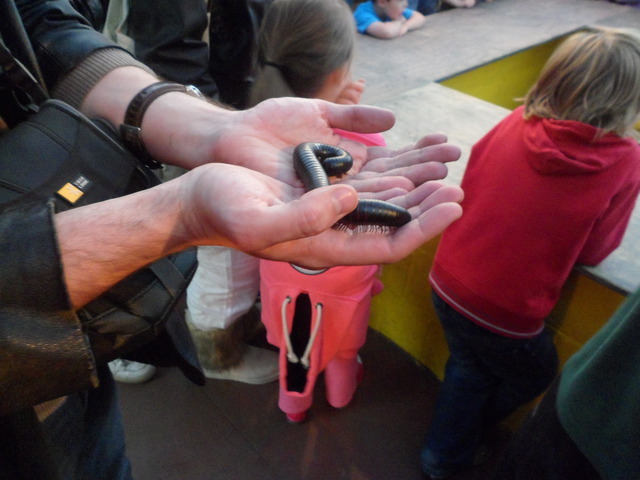 The millipede was the weirdest and actually freaked me out more than the others. It was very hard and plasticky feeling and had more legs than should be allowed attached to a single creature. The pythons seemed really docile and were obviously used to being handed around groups of small kids and not-so-small kids. But you could feel the power of their muscles flexing as they moved, it almost felt like touching some animatronic setup with a very heavy solid metal mechanism inside. I wouldn’t want to be around if one of them decided I was lunch and needed a good squeezing. 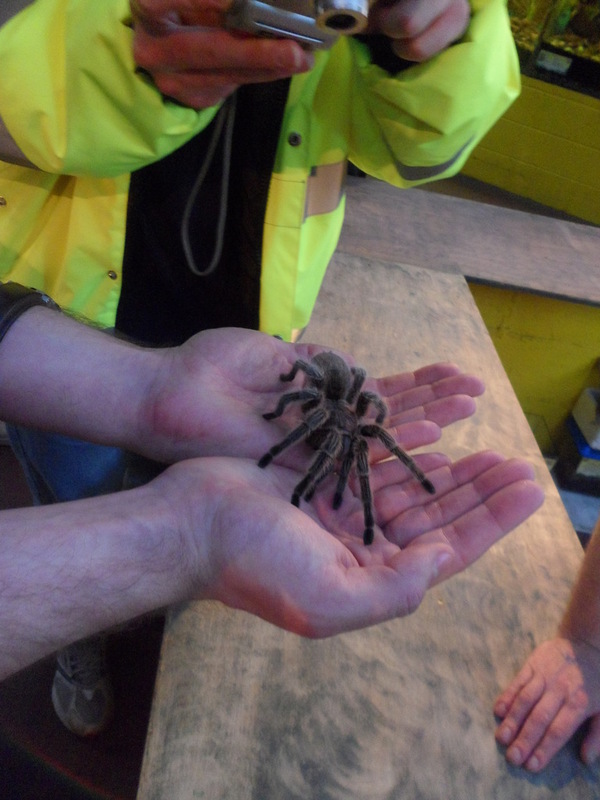 The tarantula (Rosie II) was also very placid and calm and seemed content to take her time wandering across all the outstretched hands. Her legs felt a bit like pipecleaners but without the sharp bit in the middle. 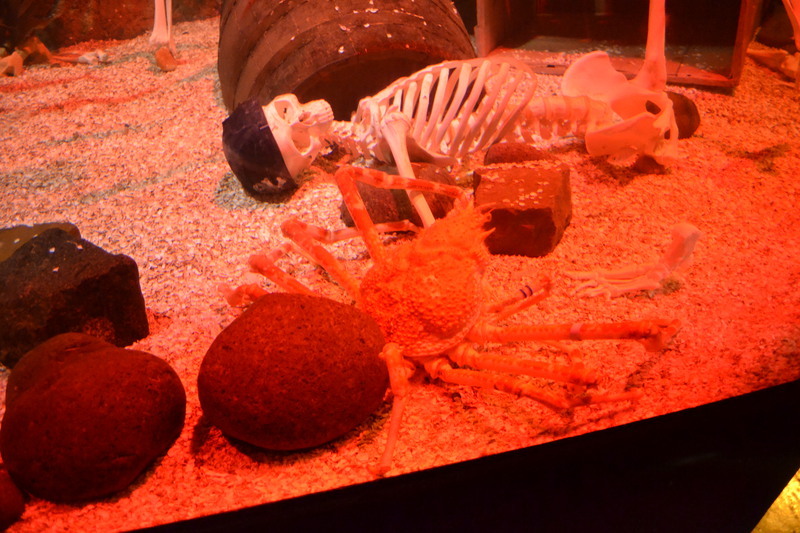 I actually kinda like tarantulas which is possibly weird as the one thing in the place you’d never get me to hold is the house spider in one of the tanks. Maybe if house spiders were furry and ambled around slowly instead of freaking out and sprinting all over the place I wouldn’t mind them so much. The only slight disappointment of the day was that they’d got rid of the bubbling mud that I used to love as a child. 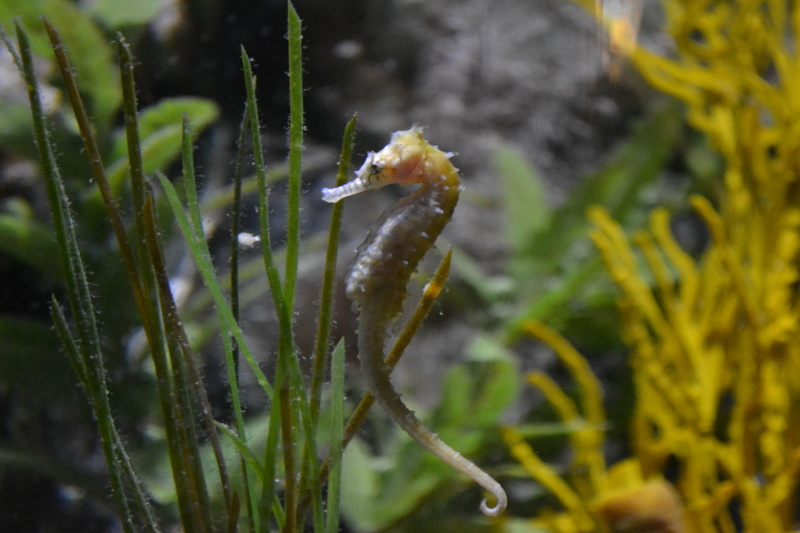 But I got to hold some awesome creatures so I guess that’s better than staring at a pale brown pool of seething liquid anyway. 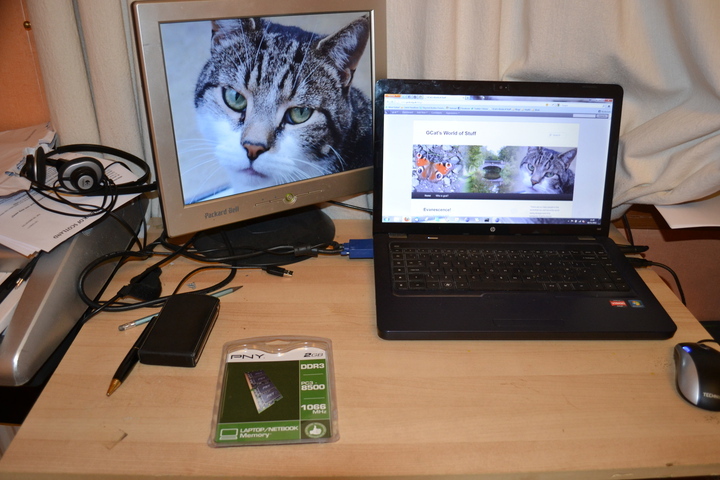 My main laptop had been getting annoyingly sluggish for a while… things that used to be almost instantaneous, like plugging in the second monitor or resuming from sleep, were making it churn at the hard drive for ages. Eclipse, which I use for making Android apps, was particularly badly affected and would stop responding for several seconds even for something as simple as switching tabs (or sometimes minutes rather than seconds if I had the audacity to want to switch to a layout editor tab). In fact I suspect it might be because I usually have Eclipse running now that it’s got so slow. So, what to do… it’s only just over a year old so not time for a new one yet. It’s also only about 3 months since I re-installed Windows, so shouldn’t be time for that yet either. I wondered if some more memory would help it… in my experience memory upgrades are one of the most effective ways of breathing new life into a slow computer. But first I had to find out the exact model number so I could google it and see how much memory it can take and what kind. This turned out to be harder than it should have been. It’s an HP G62, that’s written on the front, but apparently there are lots of different kinds of G62 and no very obvious way to find out which one I have… why they couldn’t print the full model number on the base along with the serial number, or at least make it easily accessible from within Windows is a mystery to me, but after googling for a while and fiddling around in arcane sections of the control panel that I never knew existed before, I finally discovered that I’m the proud owner of a G62-A44SA. 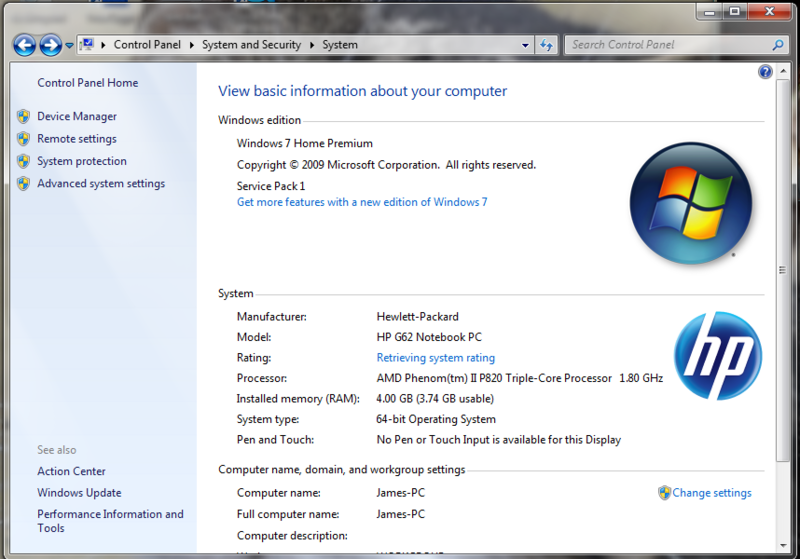 It has 3GB of RAM and can take a maximum of 4. So upping it to the maximum won’t be a huge change, but that extra gigabyte might be enough to make a difference. Memory’s so cheap now that it seemed worth trying. 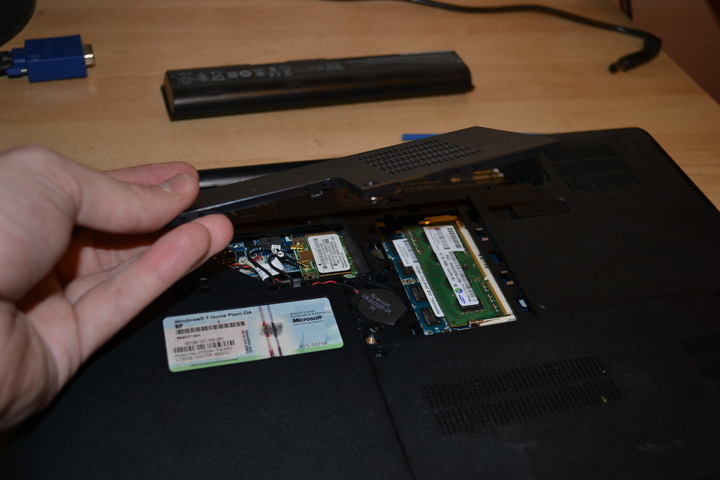 Upgrading laptops used to be somewhere between nightmarish and impossible. Actually getting at the internal components would be a hair-raising operation usually involving taking absolutely everything to bits and hoping to god you could get it back together again afterwards. Even then you’d quite likely find that the memory was soldered straight onto the motherboard and couldn’t be replaced anyway. (I’m still dreading having to do the hair-raising complete disassembly if this machine succumbs to the overheating problem that afflicts a lot of HPs and the fan needs cleaned out. Fingers crossed it seems fine so far). 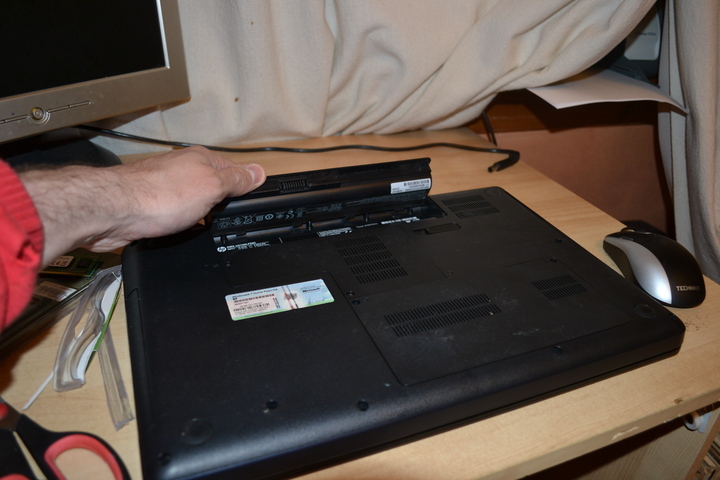 Removing the battery first is a good idea, just to make sure nothing could be powered up while you're working. 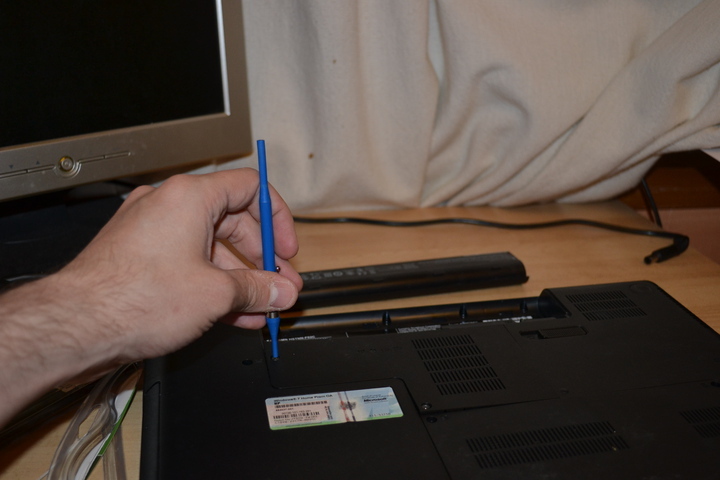 It won't hurt you, the voltage isn't high enough to be dangerous, but it might hurt the computer if you start unplugging components that are turned on. Things have got a lot better now. 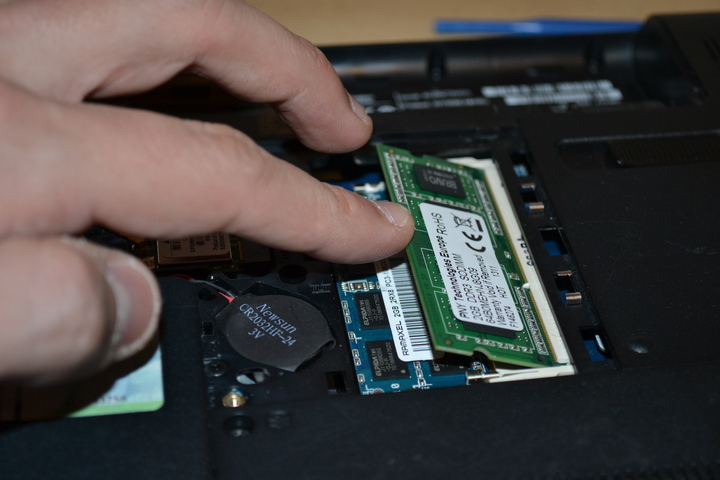 There are a few standard types of laptop memory that you can buy off the shelf in PC World, and most laptops give you quite easy access to the RAM chips, hard drive and anything else upgradable through a panel in the base. The memory chips are on the right hand side. In the middle is the CMOS battery, whose main task is to keep the internal clock at the right time even when the machine’s powered off. Nice that they’ve made it easy to replace, though in my experience this battery often outlives the rest of the computer. Removing the 1GB module from slot 1 and popping in the new 2GB one is easy. A hell of a lot easier than getting the new module out of its packet, in fact… WHY do companies use those horrible blister pack things? Presumably they sell these components with the expectation that people are going to want to, you know, actually open the packet and use what’s inside, so why make it almost impossible to do that without shredding up your fingers on sharp plastic in the process? I decided it was about time I went to a gig. Like a big one with a band people have heard of. So when Facebook helpfully informed me that Evanescence were touring in November, I decided “this is the one” and went straight over to Ticketmaster. The Glasgow show was already sold out but, undeterred, I got a ticket for London instead. (I didn’t bother asking anyone else if they wanted to go with me. I just assumed none of them would. Then later on when I sheepishly told people who I was going to see a lot of them said “oh, I like them too”, so maybe I should have. This probably means I should stop using my friend Stuart as a barometer of musical taste. Sorry Stuart). I had a feeling they would be awesome live after watching their DVD. I was not disappointed. They were fantastic. God, that girl can sing. And play piano… and both at the same time in fact. The songs sounded just like the album versions (well, apart from there being no vocal harmonies, which would be a bit hard to do live with only one singer). They played a good mix of old and new music, I was glad I’d listened to their new album enough to get to know it a bit, but there was plenty from Fallen and The Open Door as well. 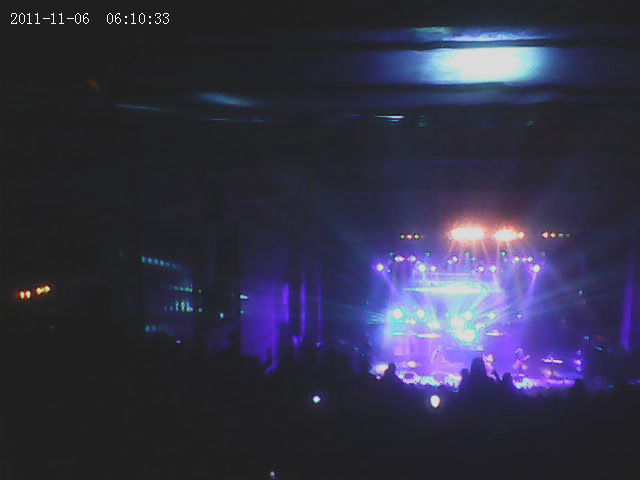 The last encore, My Immortal, was the highlight for me… would’ve been worth the whole ticket price just to be there for that moment when the lights go up and the rest of the band join in near the end. Spine-tingling stuff :D.
So yeah. I’m very glad I went. Highly recommended :). I expect I’ll go see them again some day. I enjoyed the support act, the Pretty Reckless, as well… I didn’t know them at all before, will have to check out some of their stuff. The trip itself’s been mostly fine, though I’m still on the train back just now so there’s still time for disaster to strike and drag me down into public tranport hell, I guess. I didn’t sleep well in the hostel so I’m feeling pretty out of it… just debating whether to try and sleep (though I can never sleep on trains or planes, in fact can hardly sleep anywhere that isn’t my own bed) or whether to dose myself up with caffeine and wake up properly instead. On the journey down I saw real, proper trainspotters for the first time, standing in a group on the end of a platform and noting down train numbers. I don’t think I ever quite believed they existed before, in my mind they were like some mysterious creature that would have a wide-eyed girl whispering “I have heard such things exist” near the start of a scary film. It got me thinking… why are they considered so sad? Sure, it’s ultimately a pretty pointless way to spend your time, but then so are a lot of things. It’s no worse on that score than playing Angry Birds or watching the X Factor. Trainspotters obviously must enjoy looking at trains and noting down the numbers, otherwise they wouldn’t do it… and what’s so sad about people doing something they enjoy? Personally I’d find it a lot more sad if they gave it up and spent their time doing something they don’t actually like instead, just because it’s considered more normal. So rock on, Trainspotters 🙂 you have your trains, I have my Evanescence gigs and my keyboard playing and my photography, someone else has their football matches and their Xbox… as long as you’re enjoying it then it’s all good. In theory we should have got a much-needed extra hour’s sleep due to the clocks changing. In practise, my brain decided it wasn’t going to be tricked that easily. Bah. If only my body clock would update itself automatically like my phone clock. 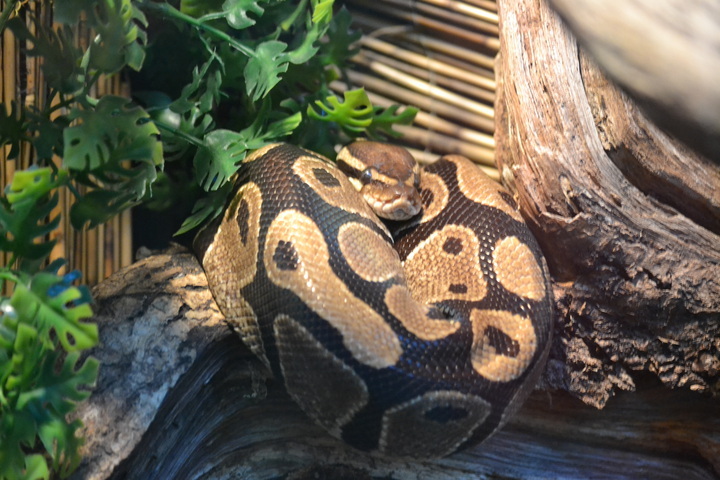 Rita. It’s bloody terrifying. It doesn’t necessarily look it… it doesn’t have any loops or sheer drops or anything like that. 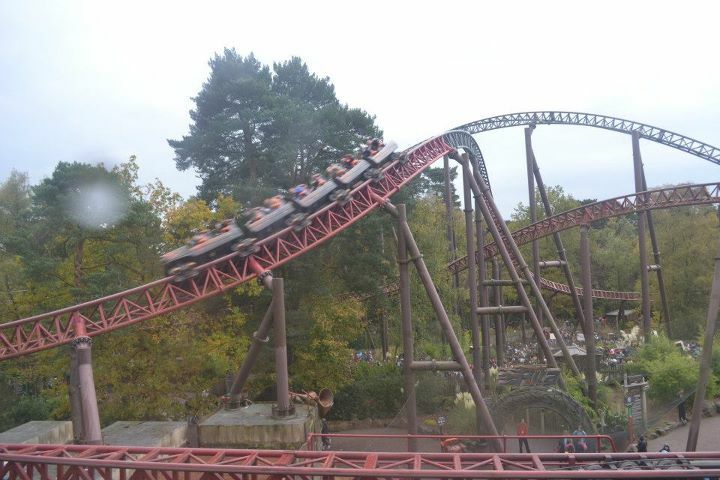 But in my opinion (and most people I’ve talked to) the launch at the start where it accelerates you from 0 to 60 in 2.5 seconds is the scariest thing at Alton Towers. Most rides get less frightening the more you go on them, and turn out to be not as bad as they look (even Oblivion). Not Rita. I get more scared every time I go on her. I’m wondering if some day I’ll find I just can’t do it anymore. After that was out of the way, we knew the rest of the day would be easy and relaxing in comparison. We had a plan: we were going to spend the morning waiting in the inevitable queues for the rides we didn’t go on yesterday, and for the afternoon we’d bought Fast-track passes for Nemesis, Air and Oblivion (which allow you to skip to the front of the queue once for each ride). So next up was Th13teen. I really like Th13teen. It’s… different. I won’t spoil the end bit if you don’t know what it does, but even the standard roller coaster bit through the woods at the start is pretty fun. Last of the big queues was for Sonic Spinball. The queues are always horrendous, but it’s a great ride so we just had to wait anyway. At least it was only an hour and not two hours like it was the day before. Spinball is unpredictable… because the cars spin round while they go down the track, you never know whether you’ll end up going down the big drop backwards or sideways this time, and it feels really erratic like you’re being pulled in all directions at once. 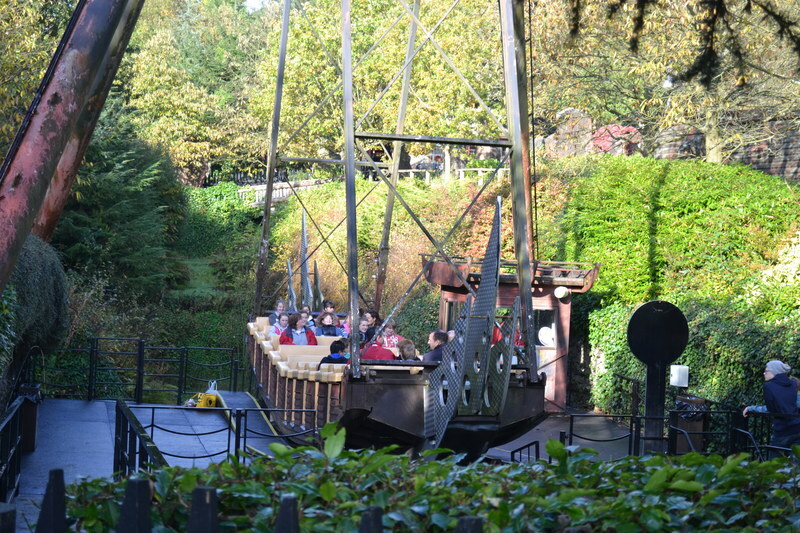 So don’t be put off by the queues or the theming… give it a try. Our afternoon was a bit more sedate than yesterday’s, with less rushing around and standing in queues. We took advantage of our fast track passes to have another go on Nemesis and Air. 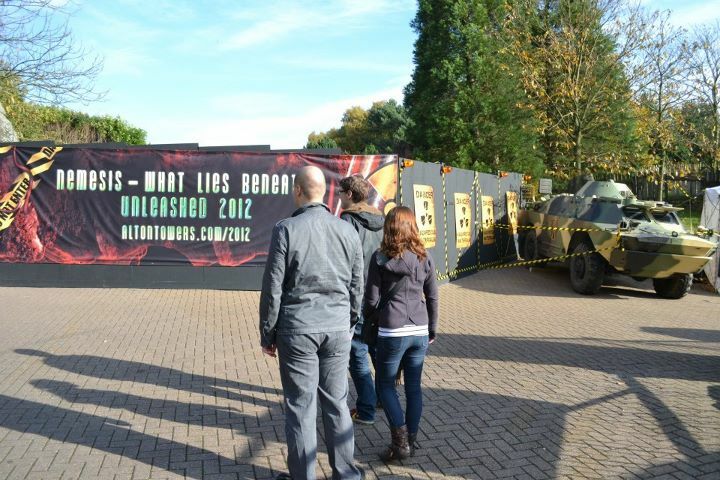 Something was going on near Nemesis, by the excavations for “What Lies Beneath”. We couldn’t quite work out what, but it involved a worker in a radiation suit lying unconscious while others warned the public to stay back. 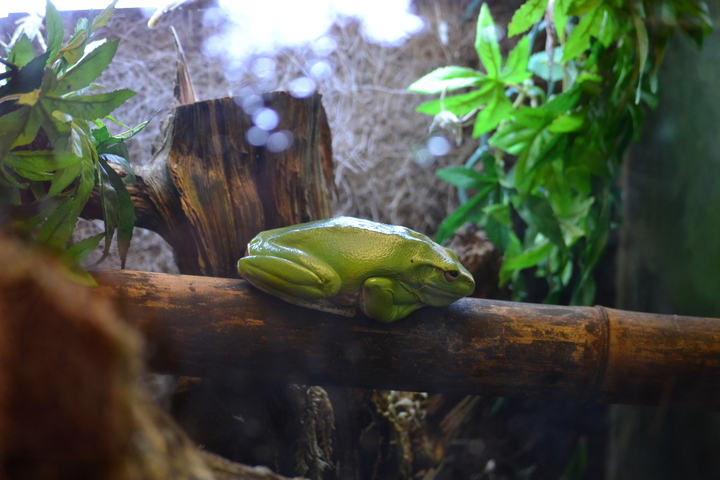 And possibly a frog. Exciting. We also finally braved one of the water rides (Congo River Rapids) and got a little bit wet. But by the time we were queueing for the Runaway Mine Train, madness was starting to set in. “Eye Spy” wasn’t sufficient to keep us amused for long and we took to making up terrible jokes of the form “What’s ____’s favourite ride/area at Alton Towers?”. 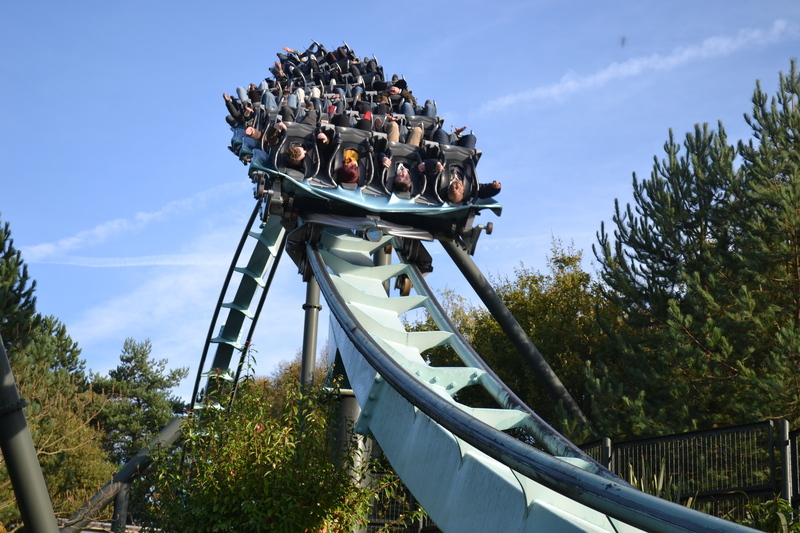 (Most of them aren’t fit to publish, especially the Michael Jackson ones, but if I tell you that “What’s Patrick Stewart’s favourite ride at Alton Towers? Enterprise!” was probably the best one, you’ll get some idea of the standard of the others). 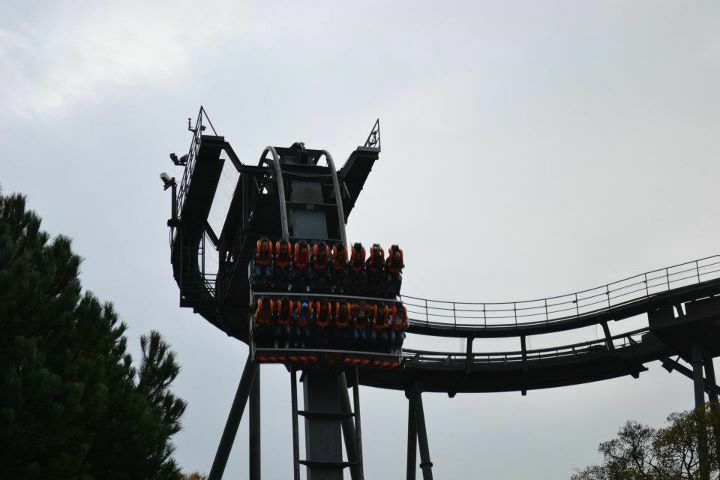 Our final Alton Towers ride of the day (and of the year) was: Oblivion! Definitely the second most terrifying thing in the park after Rita. This time I was in probably the scariest seat, right on the edge of the front row. At least when you’re in the middle of the front row you can see the track in front of you… on the edge there’s nothing at all apart from the black gaping hole rushing up to meet you. As usual our approach to the drop was punctuated by moans of “oh god, why are we doing this?”, but once you’re up there you don’t really have much time to think about that. 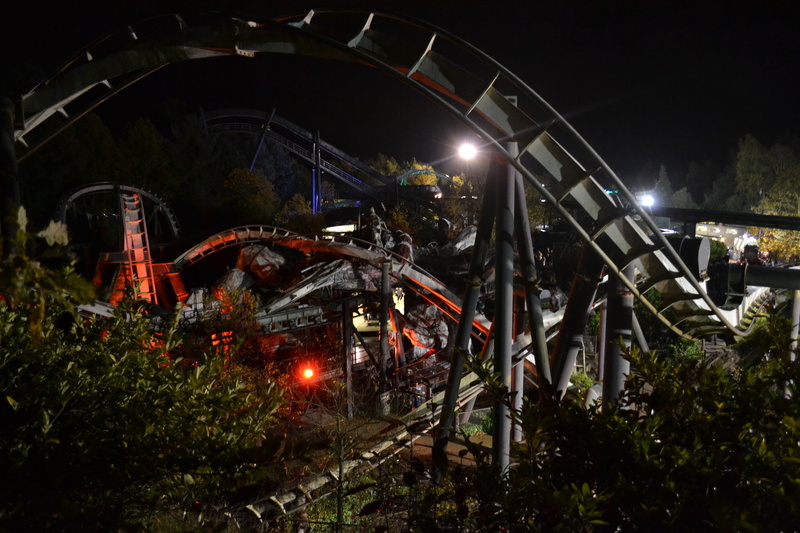 (I’d tell you the story about how I coped with Oblivion the first time I went on it, but I don’t want to end up barred from Alton Towers or anything). After that it was getting dark and with the drive back to Edinburgh still ahead of us, we decided it was time to call it a night. After a good filling meal at the Woodcutter’s Grill (the kind of place that has an enormous vat of chips on the serving hatch, which can’t be a bad thing) and a quick visit to the gift shop for obligatory purchase of notebooks and T-shirts that were probably intended for people half my age, we were on our way. The drive back was a lot quicker than the drive down – about two hours shorter in fact, even with scary thick fog in the Borders that I had to slow right down for. So that was Alton Towers 🙂 I’m off on my travels again this weekend, in fact I’m writing this on the train to London, so stay tuned for a first-time gig goer’s account of… Evanescence! 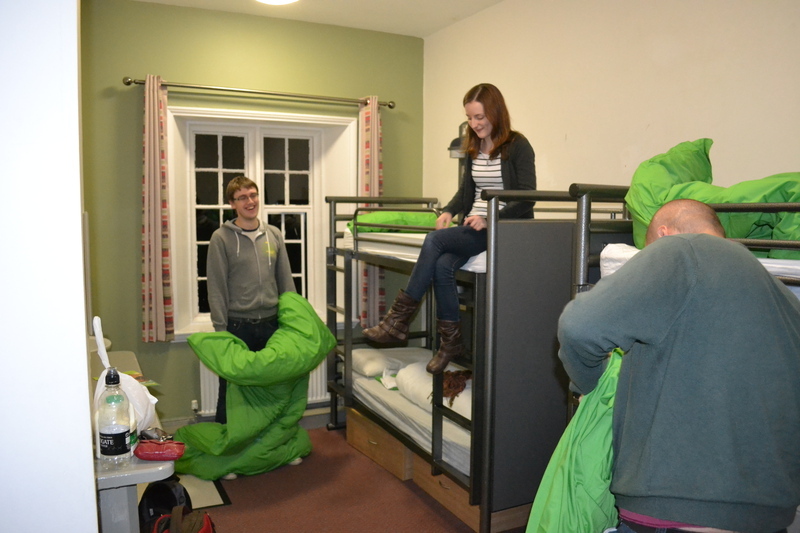 The beds were surprisingly spacious and comfy for a youth hostel so I got a good night’s sleep. After a hot shower and a good filling breakfast I was ready to don my “Air” T-shirt and drive to the park. On the way out we got our first proper look at the hall in daylight. 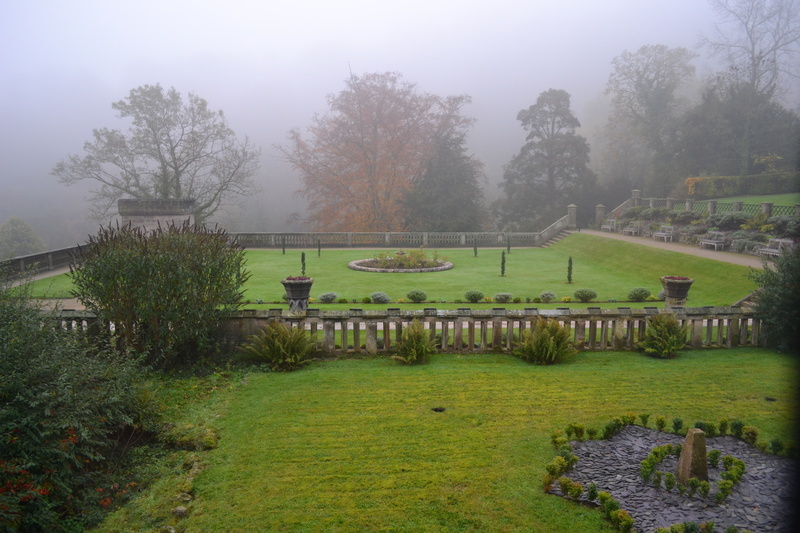 The weather was quite misty but didn’t look too bad. The park was VERY busy, full of people in every imaginable kind of Hallowe’en costume. I’d expected it to be quite busy due to the Scarefest, but was surprised it was even busier than it usually is on weekends in the summer. By the time we’d queued for our tickets, it was past 10am which meant the rides were already open. 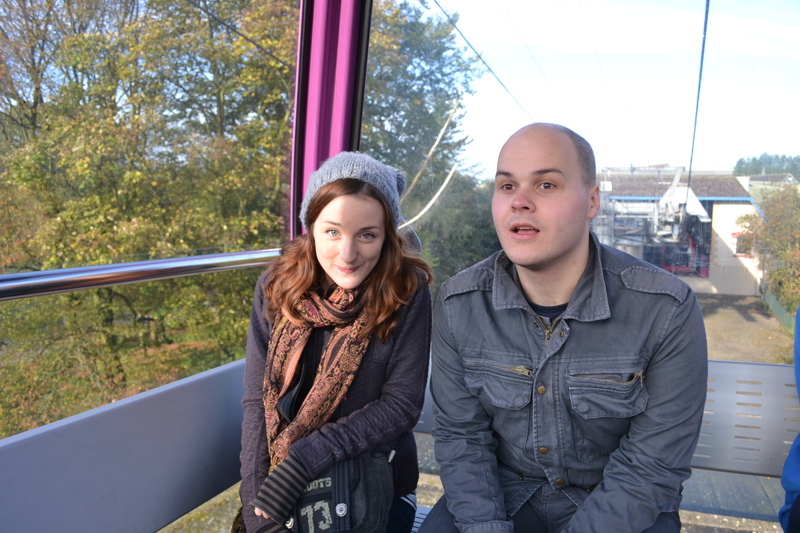 First we took the Sky Ride over to Forbidden Valley where our favourite rides are. (Actually, that’s not quite true. First, I breathed a sigh of relief as the sweet, sweet signal found its way once again to my phone, and felt my racing heart and urge to kill subsiding as I got my much-needed internet fix. I’m half joking. But only half). It was good to see the Sky Ride back in operation… on two out of my previous three visits it was out of action due to first the Forbidden Valley station and then the Cloud Cuckoo Land station burning down. (This means there is now only one station left that hasn’t at some point gone up in flames. I bet the staff are eyeing that one nervously and hoping bad things don’t really come in threes). From our gondola we saw something strange… kittens on top of the Mexican restaurant near the Flume! About four of them, cute little bundles of fur just playing on the roof… no idea what they were doing up there. If anyone does know, please tell us. First ride of the day was Nemesis. It’s still my favourite, I think. I don’t find it scary anymore now, just really, really fun. After that we found that the Air queue was still reasonably short so we did Air as well (it used to be my favourite before I plucked up the courage was forced by threats of eternal ridicule to go on Nemesis a couple of years ago). Heather hates the Blade, so naturally we forced her to go on it twice in a row. I like it, but I can kind of see where she’s coming from. It is much scarier than you’d expect from watching it, especially if you sit up at the back. 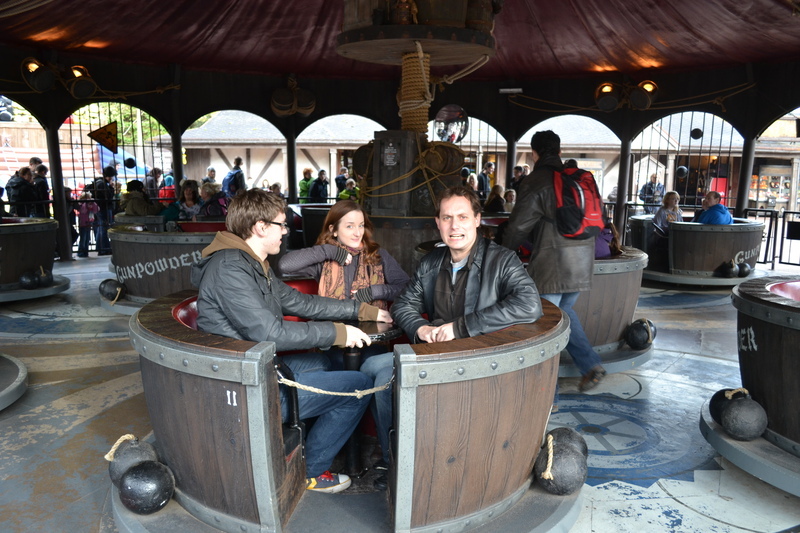 … after an unfortunate incident in the past involving Alex having just eaten and Gavin spinning our barrel like a madman and refusing to stop. (Disappointingly, Gavin couldn’t get it to go very fast this time, even with my help. Maybe we were in a dodgy barrel, or maybe it was the one before that was dodgy). Gavin and Heather tried to get their fingernails done by the cleaner shrimps like usual, but there were too many kids and not enough shrimps to go round. (By the way, if the Alton Towers employee who was dressed up as a pirate outside the aquarium and who shouted at a passing woman “What’s that you’re wearing? A Disney T-shirt?? You don’t see us going round Disneyland wearing Alton Towers T-shirts, do you? !” is reading this… you made my day! 😀 ). For dinner we went to the all you can eat pizza and pasta buffet in Katanga Canyon. It was just as good as I remembered, and I overdid the pasta bolognese just as much as I did last time. After that the queues had died down a little and we decided to go back to Forbidden Valley to ride the rides in the dark! We got on both Nemesis and Air before they closed. Air in the dark was spectacular, I would highly recommend it. It was weird being in the park at night, it felt as if we weren’t meant to be there. The lighting didn’t really seem bright enough for a theme park and even with a lot of extra portable floodlights there were lots of very dark corners. It all added to the atmosphere. Last weekend it was time for the annual Beyond Alton Towers trip… time to satiate my adrenaline-junkie side for another few months. 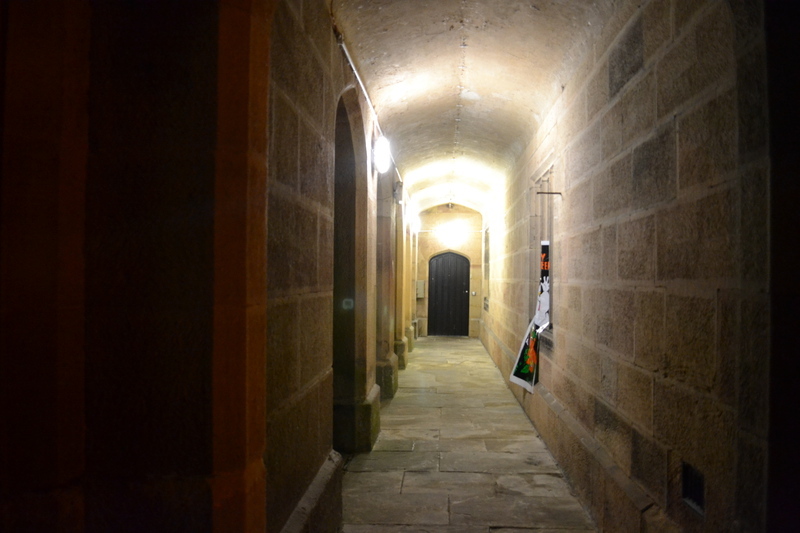 I’d planned to maybe upload pics and blog entries from the hostel each night, but my camera’s sudden refusal to talk to my netbook put paid to that idea. So here they are now instead. 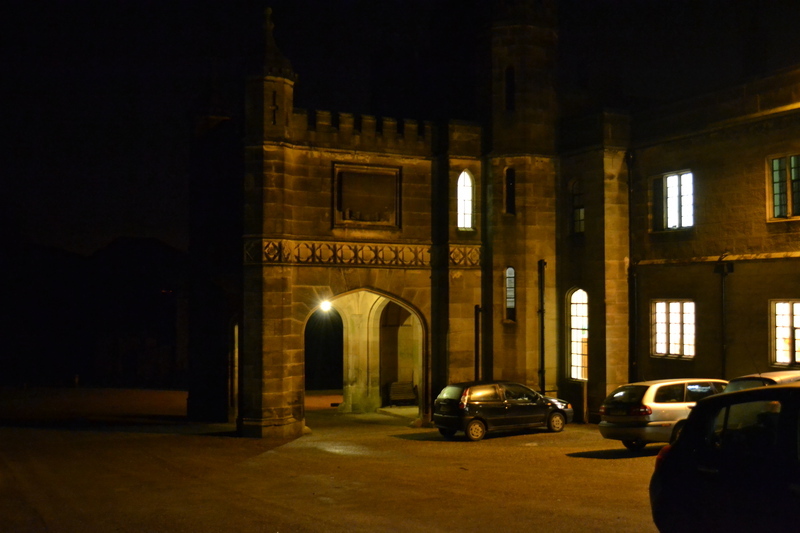 We stayed at Ilam Hall youth hostel, which is a great place as well as very handy for the Towers. 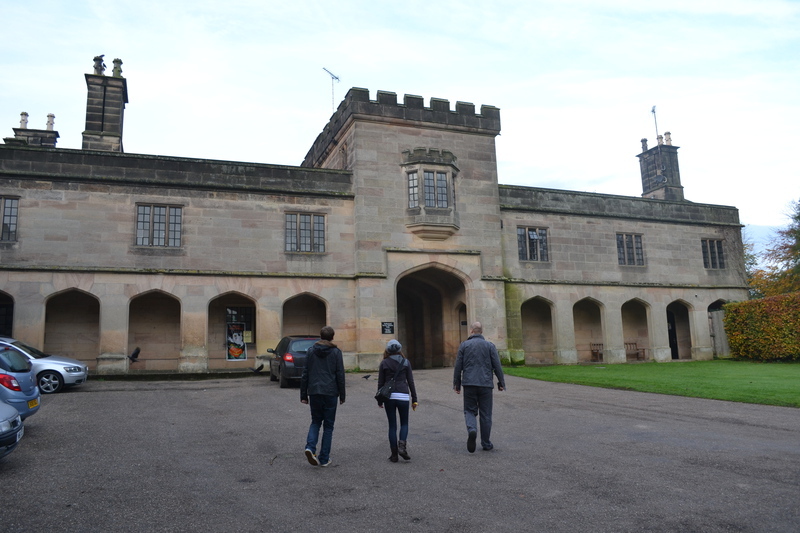 (We were there in 2009, but last year we left it too late to book and had to go to Hartington Hall instead – also nice, but a bit further from A.T.). We had a 4 bed room to ourselves. Only downside was complete lack of mobile signal, though maybe that’s not a downside if you want to get away from it all. (They do have a couple of internet-connected computers and semi-working wifi so we weren’t completely cut off… this was lucky as I’d completely forgotten to tell anyone I might not have phone signal and had to hastily go online and send some Facebook messages so they didn’t start thinking the Alton Triangle had claimed another victim). (Nicer than the Stoke-on-Trent Travelodge I stayed in when I was last down this way back in June, I’m sure you’ll agree). For some reason I loved being out there in the dark. 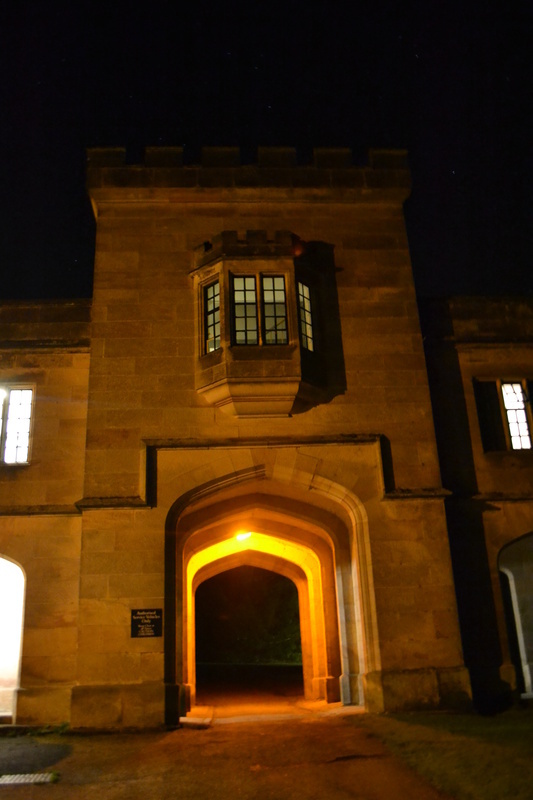 Unlike the city it was pitch black apart from the hostel lights so you could see hundreds of stars, and it was also absolutely silent apart from owl calls from the nearby woods. No traffic noise at all. Lovely. Up next on Gcat’s World of Stuff: radiation leaks, stranded kittens, giant spider crabs, and more. 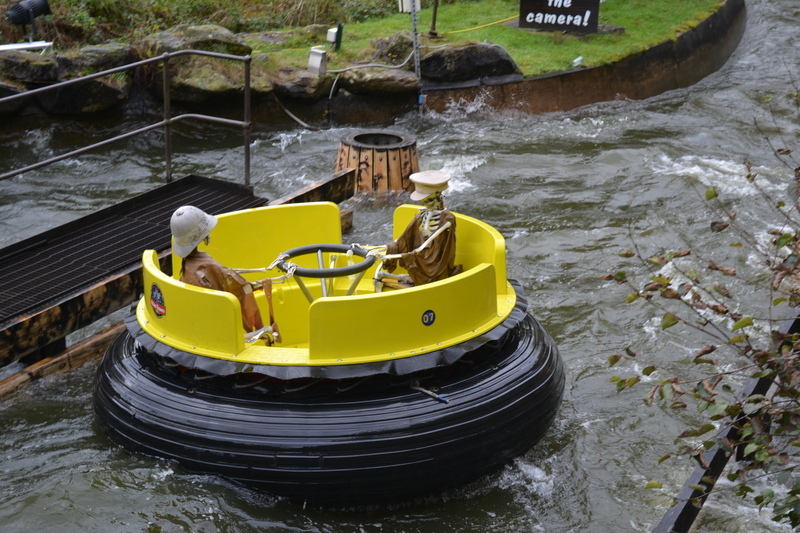 Just an ordinary Hallowe’en day at Alton Towers. Don’t miss it!